Indian cuisine, or fusions including Indian elements, is popular in many other places all around the world. Within India, there are many different types of regional dishes, making for a tasty and varied culinary scene. 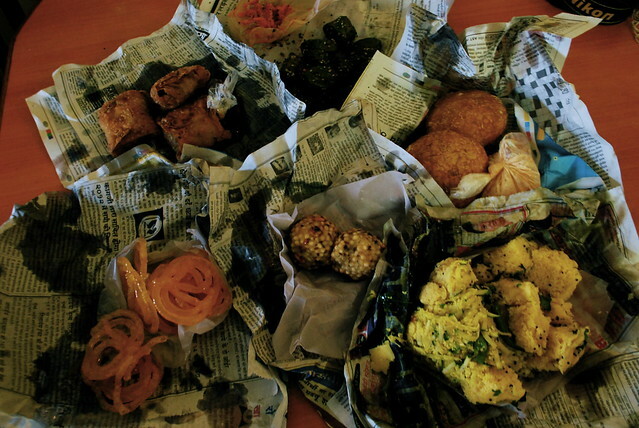 Street food in India can be a great way to sample a wide variety of meals and snacks for really cheap prices. 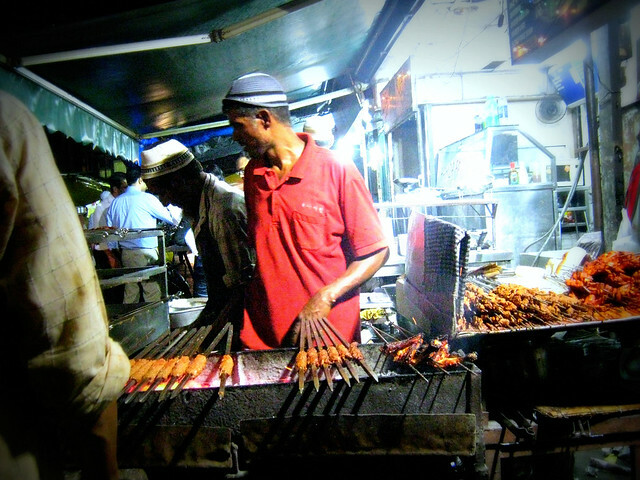 Street food can be bought in market places or from individual hawker stalls. Many people see street food as being risky and a less hygienic way to eat; as with all street foods, there are both great and not-so-great places to choose. Look for the places that are frequented by locals – they will lead you to the best quality dishes. If a place looks grubby, common sense would say avoid it. Avoid pre-cooked ftreet food that may have been sat there for some time. Otherwise, if food is cooked freshly in front of you, the vendor is doing a roaring trade, and all looks relatively clean, you should be fine to dig in and enjoy the experience of street food in India. Whilst many people have tried samosas in their home country, nothing compares to eating a freshly cooked spicy samosa from the streets. A variety of fillings are available, including meats and vegetables. The deep fried snack is great for munching on whilst walking around, or as part of a larger meal. This is a dish that is originally from the Punjabi area, but today it is a very popular dish right around the country. It is a favourite meal for breakfast. 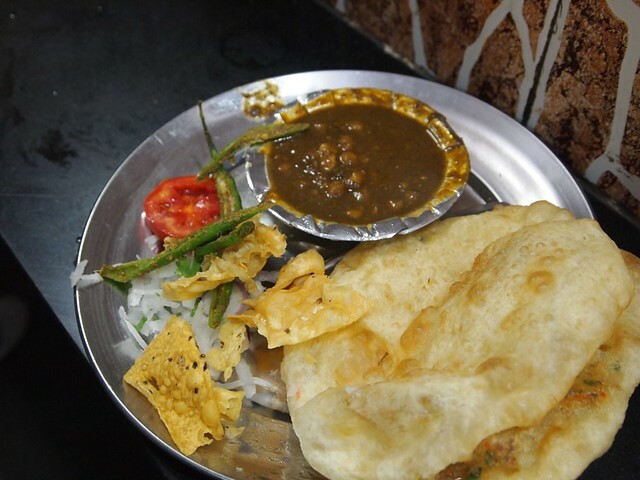 Chole is a spicy mixture that contains chickpeas, and bhature is a type of fried bread. Often served with accompaniments such as pickles, onions, and chutney, it is spicy and filling. Different types of the bhature bread may be available, such as those with paneer cheese or potato. Lassi is a type of thick drink. It is made using yoghurt, and a variety of fruits are added to alter the flavour and taste. Sugar can also be added for an even sweeter drink. 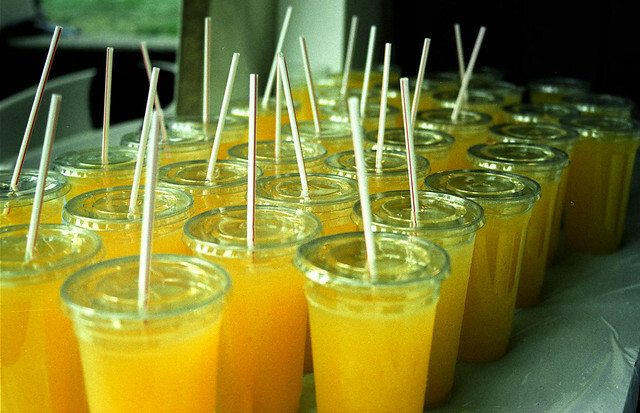 Non-sweet lassis are sometimes drunk by locals, although they are not as popular with visitors. In a traditional lassi, spices are added to the yoghurt. Originally from Uttar Pradesh, chaat is now popular across the country. It is a fried ball of dough, with a variety of different fillings. Chaat can be found at numerous road side stalls. Different types of chaat include aloo chaat, which contain potato, pakora, with vegetables, chickpeas, and paneer cheese, sevpuri, and dahi puri. 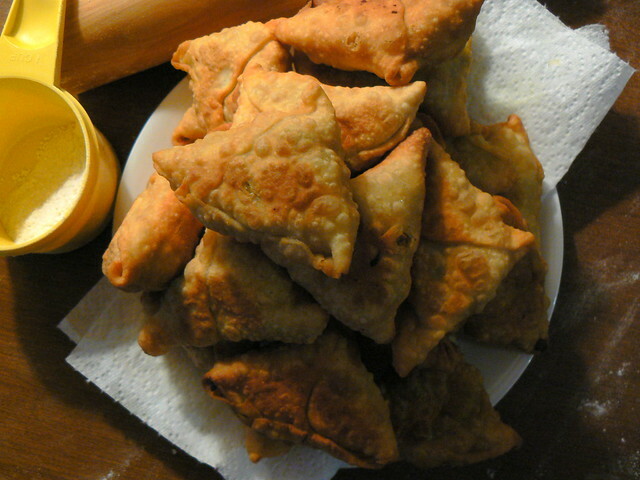 Samosas are also a type of chaat. Various types of meat kebabs are popular, with the grilled meats being lightly seasoned with different aromatic spices. This is an ideal option for vegetarians looking for a tasty treat. From the state of Maharashtra, it is like the Indian version of a veggie burger, with a veggie patty sandwiched between two pieces of bread. Spices and seasoning are added to the inner patty for extra kick. It may be served with cheese slices, chutney, sauces, and other condiments. It is really affordable, and can be eaten at any time of the day or for any meal.